Human Relief Foundation is to brighten the lives of orphaned refugees by distributing Eid gifts on Eid day. An international aid organisation is hoping to brighten the lives of orphaned refugees by distributing Eid gifts on Eid day. Countless of orphaned children around the world who have completed the month of Ramadan have no parents to spend it with. These children do not feel the enjoyment of the occasion, the gifts or clothes that come with it, and nor do they feel the love of a close-knit family. 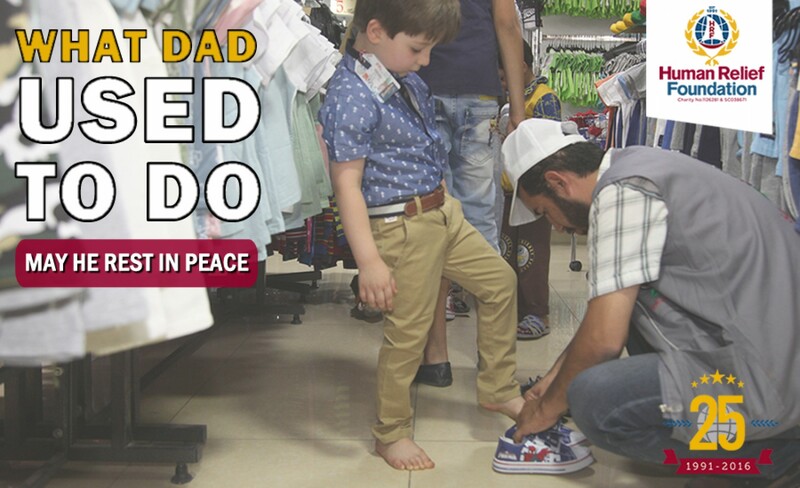 Human Relief Foundation (HRF), an international aid organisation based in Bradford, has launched its ‘What Dad Used To Do’ campaign, which will provide gifts to orphans most in need. The campaign name, ‘What Dad Used To Do’, was inspired by a young orphan who was given a gift by Human Relief Foundation’s team in Jordan. After receiving the gift he told them: “This is what dad used to do”. Anyone who would like to donate towards an Eid gift can do so at www.justgiving.com/ whatdadusedtodo. Photos of previous Eid gift distributions in Iraq, Jordan and Pakistan are available. Human Relief Foundation (HRF) is based in Bradford and is a registered International Non-Governmental Organisation. Launched in 1991, it seeks to promote sustainable economic and social development, supporting local communities to build a better life and find their own solutions to global problems. It is registered with the UK Charity Commission (1126281 & SC038671). If you have any media enquiries, please phone Hasan Faridi on 01274 392727 or email h.faridi@hrf.co.uk.